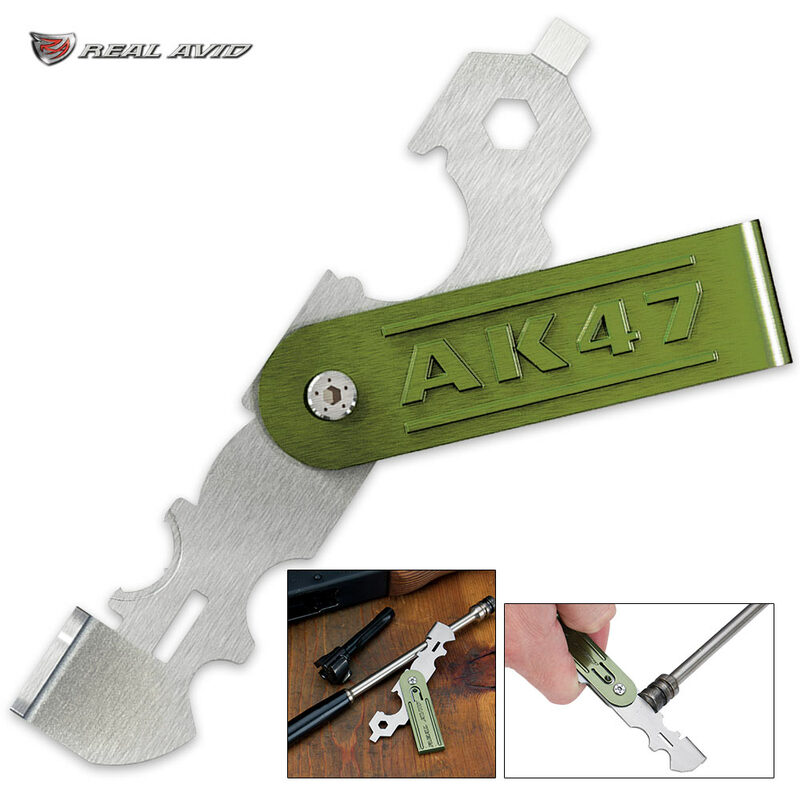 AK47 Carbon Scraper Utility Tool | BUDK.com - Knives & Swords At The Lowest Prices! 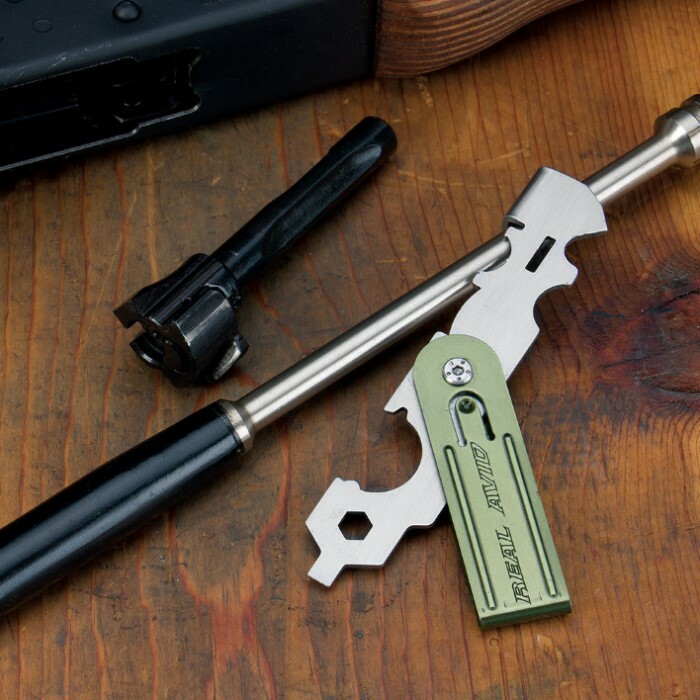 The AK47 Scraper removes carbon faster and easier than brushes or solvent to keep your weapon firing reliably. 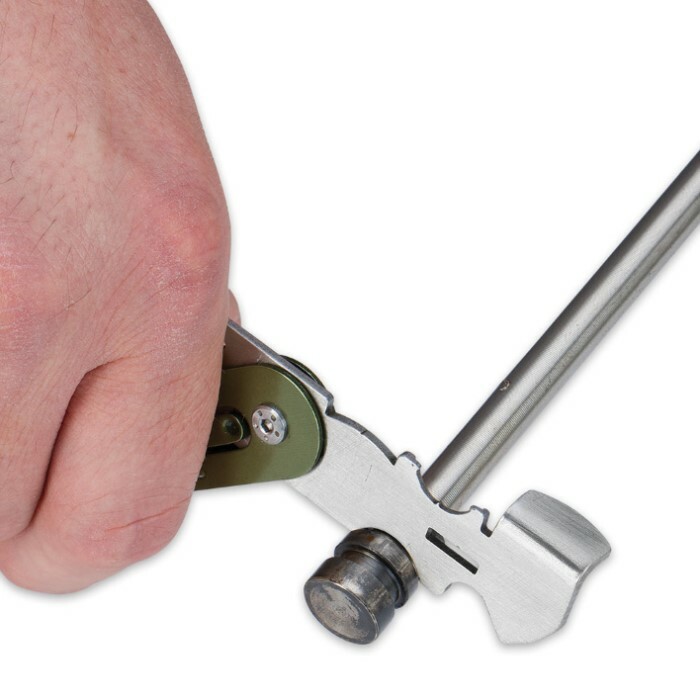 It is a compact, easy-to-carry tool that is made of non-hardened stainless steel to prevent marring. It can be used to scrape all surfaces of the piston including the face, grooves, firing pin tip, circumference and piston shaft. There is also a .25" bit driver, a slot to assist in opening the gas tube access lever, flat driver for pistol grips and a muzzle brake wrench.